Hello and happy Tuesday. It's time for another challenge at CASology. 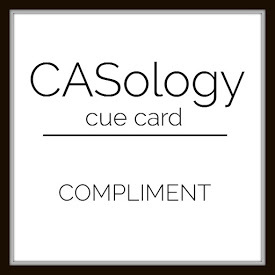 This week, our cue word is COMPLIMENT. Time to finish off a card I started in Canada with Tracey and Kim. I just love this flamingo and the quote I paired with it. I have no idea what stamps I used, but I really love this sentiment. Now it's your turn. How does COMPLIMENT inspire you? I hope you play along this week. Please remember to keep it Clean and Simple. Our Guest Designer is Jane W.
What a fun flamingo, this is terrific Joyce! 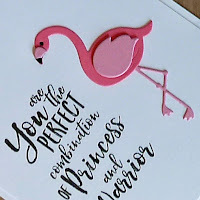 LOVE this card....fabulous flamingo and incredible sentiment! 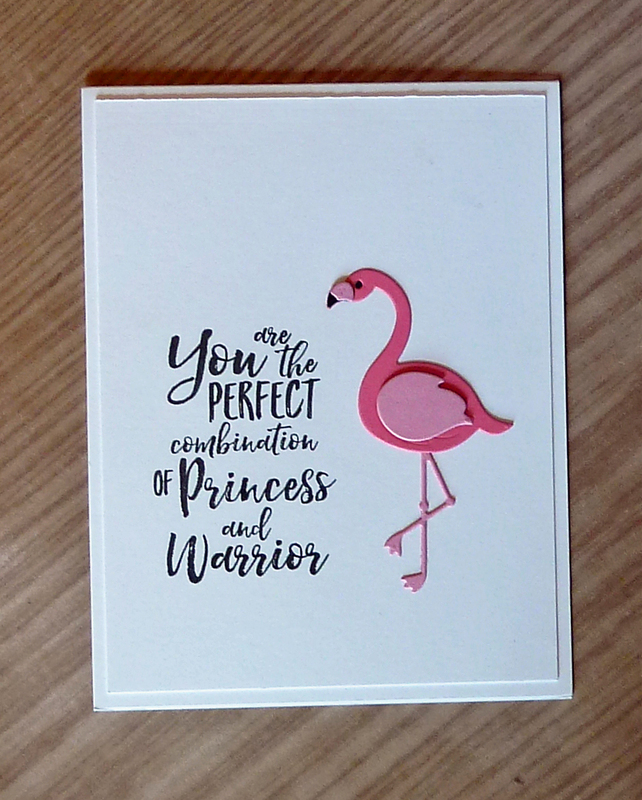 Oh, I love how your sentiment lines up with this lovely flamingo, Joyce! Very pretty card! Joyce...the sentiment is priceless! 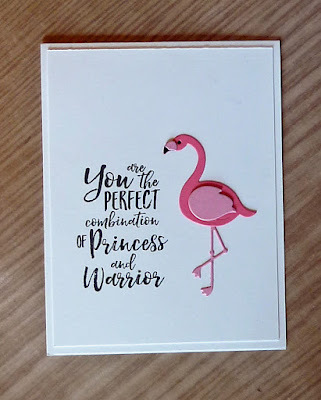 Love it paired with your cutie flamingo! Love how this flamingo pairs perfectly with the handwritten flow of this terrific sentiment! Oh gosh that sentiment is awesome! And the flamingo is a perfect pairing! I love this card! Perfect sentiment for the theme. What a fabulous sentiment Joyce and love the flamingo of course!